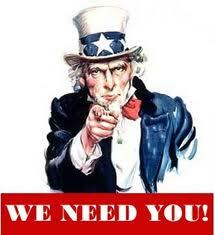 CLASS WHIPS: WE WANT YOU! A special corps of Pages designated as “Class Whips” is reaching out to former classmates and colleagues to re-establish contact and compile the most up-to-date lists of phone numbers, addresses and emails. The goal is to find Pages of all vintages who may have lost touch with their D.C. friends, in time to disseminate information about the all-class Page Homecoming event during Memorial Day weekend 2016. The Class Whip concept is modeled after the leadership position we learned about as Pages. They will serve as a personal point of contact for Pages who served together and also keep classmates informed of association and class-specific activities. As they scour lists of classmates, Class Whips will help verify the accuracy of the contact information the association has (which in some cases is very dated) and find “lost” Pages for whom we have no information at all. Many classes are not yet represented by Class Whips; if you’d like to join this group, please contact us. We can provide a list of classmates and tips on how to find them. Also, if you aren’t sure that we have your most recent contact information and want to be certain you receive all upcoming association news, please contact us.